3. Air Jordan III "True Blue"
Complex says: Let's forget for the moment that MJ wore these in his final go-round as a Wizard and remember instead that these were one of the first mass-market Jordans sold in non-Bulls colors (the many, many colorways of the Air Jordan 1 are still something of a mystery). 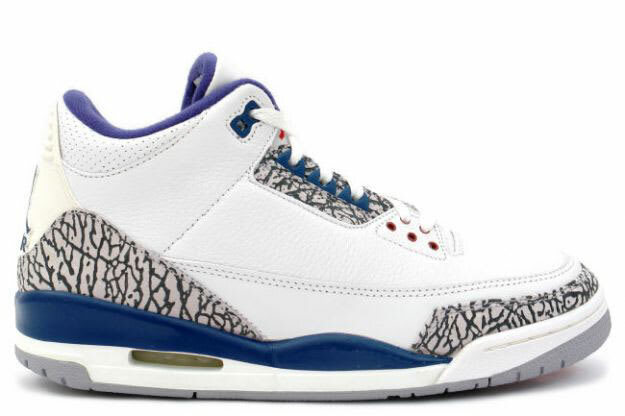 The elephant print around the lace loops was exclusive to this colorup, and the red (Jumpman) white and blue scheme foreshadowed Dream Team status.